Meet Judy - Our June Member of the Month! Welcome to another editon of our Member of the Month series, where we feature some of the amazing people who are part of our Loyobo FIT family. We think it is important to share their stories to help inspire others and to celebrate their amazing accomplishments! 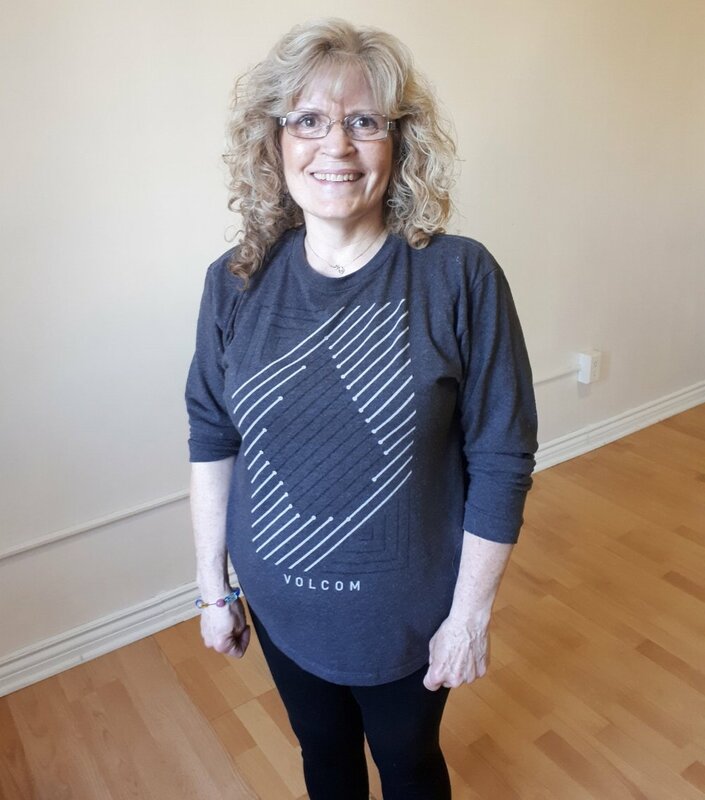 This month, our member is Judy Keheler, who is one of our VIP members and regularly attends a wide variety of classes, including Tone & Flex, Strong by Zumba and Body Sculpt & Sweat. Judy turned 60 this year and used it as an opportunity to make the choice to re-commit to herself and her health. We are so happy she did because it has been so awesome to get to know this amazing woman and see her progress. We are so excited to celebrate Judy this month! We love her energy and sass (especially when Courtney is making her do burpees) and are constantly amazed at her strength, as well as her willingness to push herself to try new things outside of her comfort zone. She deserves a huge round of applause for her dedication and progress towards her health and fitness goals. So, without further ado, we are pleased to introduce you to Judy! 1. How long have you been coming to Loyobo FIT and what initially inspired you to try a class? Going on my 3rd month. I tried Zumba with Courtney at a Ladies Night event with Fun Fearless Females. 2. What are your top 3 health and fitness goals? To become fit, healthy and lose weight. 3. What is one of the challenges that you have faced in your health/fitness journey? I find it very hard to get down in my weight and maintain it. I also find it difficult consistently getting to workouts more. 4. What have you found most helpful in working to overcome it? Keeping up and just trying and working harder. 5. How has your life changed since becoming a member of Loyobo FIT? Well, I feel good after my workout. If I'm down or frustrated it picks me up. 6. What is your favourite memory or achievement of your time at Loyobo FIT? 7. What advice would you give to someone just starting their health and fitness journey? Try Zumba, its fun and it's not like working out! 8. What is your biggest dream? To be healthy and in good shape in my old age. We are so happy to have Judy as part of our Loyobo FIT family and look forward to seeing what comes next in her journey to health! Congratulations Judy and THANK YOU for being the awesome lady that you are. Feeling inspired? You could be our next Member of the Month! All you need to do is take the first step on your journey, just like Judy. Join us for our FREE WEEK today, which starts June 4 and runs until June 10th. First time participants can try up to 10 classes FREE (once per format). Newer PostWe are moving! New Studio Location Opens August 12, 2018! Older PostWork the Booty with this new Zumba Choreo!